This year the class will be taught by Miss Tindall. Mrs Gerrard will be helping with Maths groups while Miss Oakley will take small groups for English lessons. Each afternoon, Miss Ashworth will support the children in class. This term, P.E lessons will be on a Wednesday afternoon and all the children will take part in swimming lessons on Friday afternoons. Maths and English homework will be sent home as a pack to be completed throughout the half term. There will be a range of activities to complete, linked to the learning taking place in class. The pack will be handed in at the end of each half term, but if the children need any help with the tasks, please come and see me. New spellings will be sent home every week and will be tested on a weekly basis as we develop our understanding of different spelling rules. Over the course of a half term, the children will be issued with approximately three creative tasks to undertake in their learning journals. These will be sent home on a Friday with the intention of encouraging the children to recap and further explore an area or topic that we have been looking at over the week. We read frequently throughout the week, whether it is individually, shared reading or in a guided reading group. So reading for at least 10/15 minutes every day would be very beneficial. Books can be changed in school any day of the week; please ensure book reviews are completed in order to receive another book. All children must complete an 'Accelerated Reader' quiz after they have read each book. They will be attending school council meetings and will listen to any suggestions that the rest of the class may have. They will be attending meetings and will listen to any suggestions that the rest of the class may have. In Chestnut class, we are enjoying our new spelling scheme 'No Nonsense Spelling'. Here are some top tips to help you to learn your spelling rules at home. 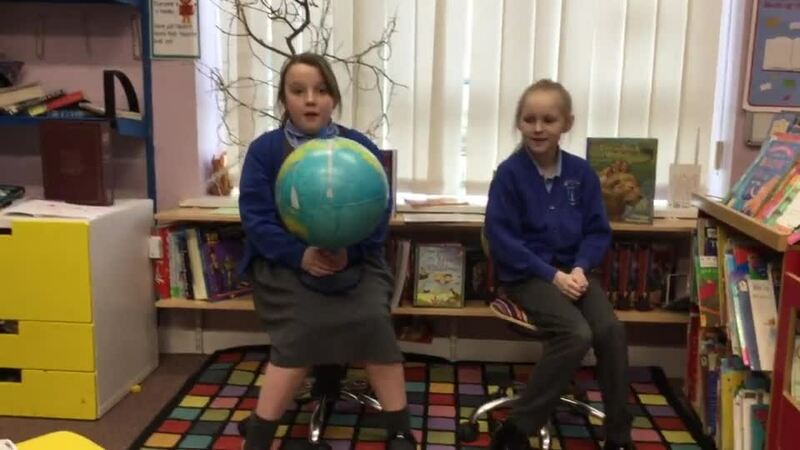 To celebrate Internet Safety Day, we filmed our own videos to show how to stay safe online.